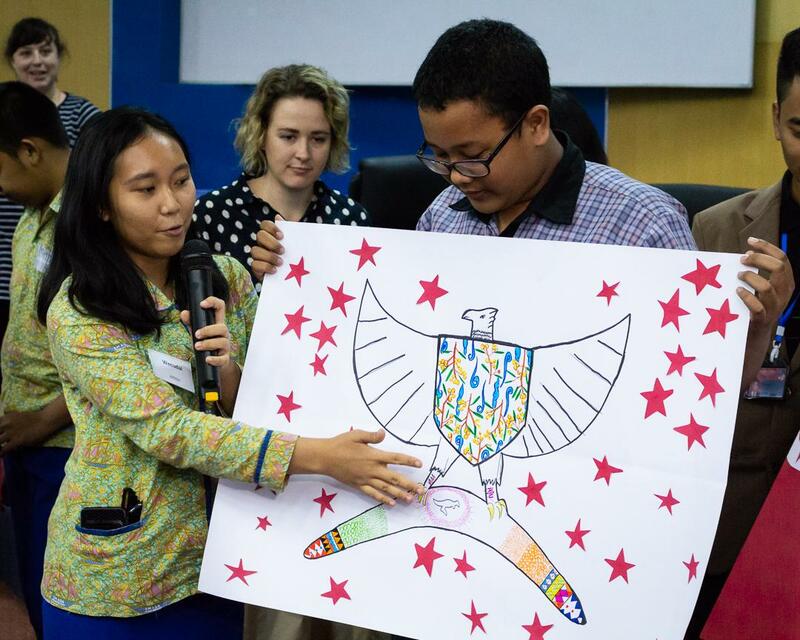 The Engaging Future Leaders (EFL) program aims to strengthen cross-cultural understanding between Australia and Indonesia by inviting local Indonesian students to engage in a one-day language exchange program with Australian and Indonesian delegates. 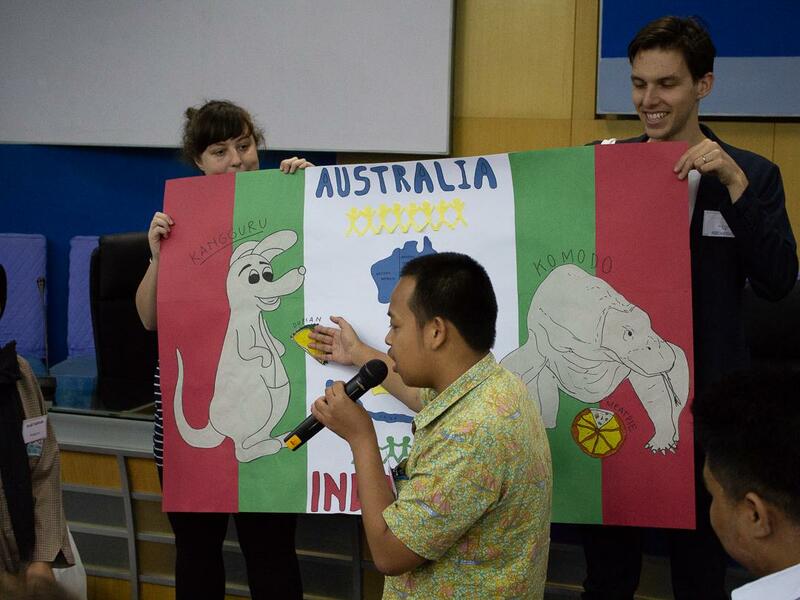 This year’s EFL event was held on the second day of CAUSINDY at the University of Hasanuddin (UNHAS), Makassar. The event was held in collaboration with UNHAS and Youthful.social as educational partners. 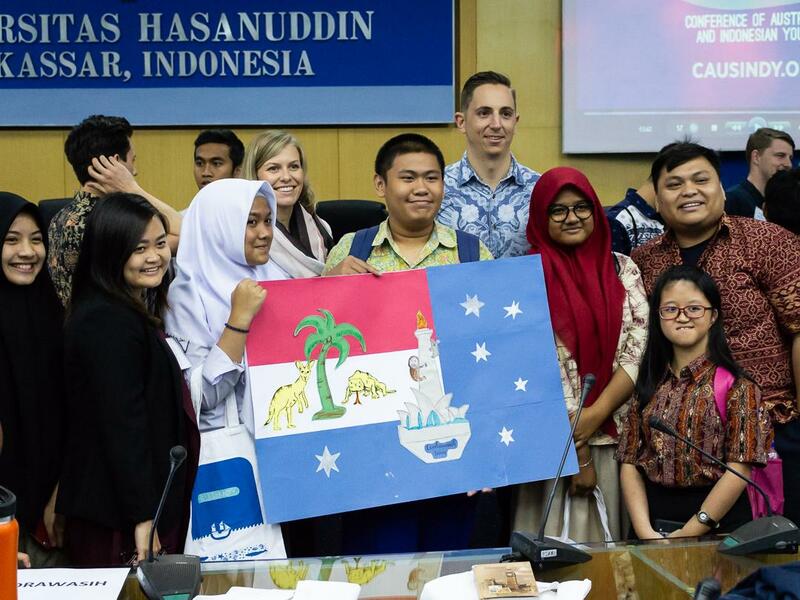 There were 7 local high schools involved in EFL, including SMA 1 Makassar, SMA 2 Makassar, SMA 17 Makassar, SMA Zion, SMA Celebes Global School, SMA Atthira and SMA Bosowa, with a total of 65 students attending. 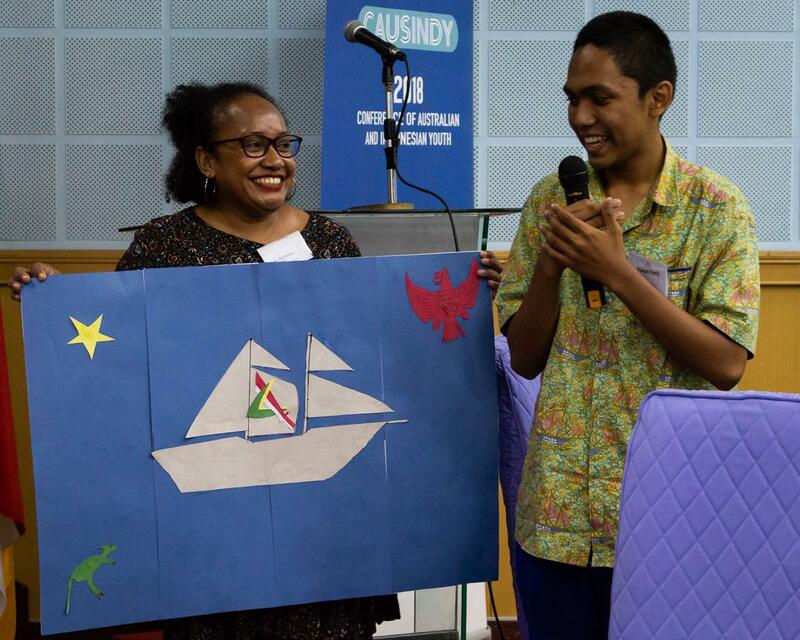 Under this year’s theme, Connected by Sea, the EFL program facilitated the students and CAUSINDY delegates to engage in a project-based activity called “The Flag Project”. 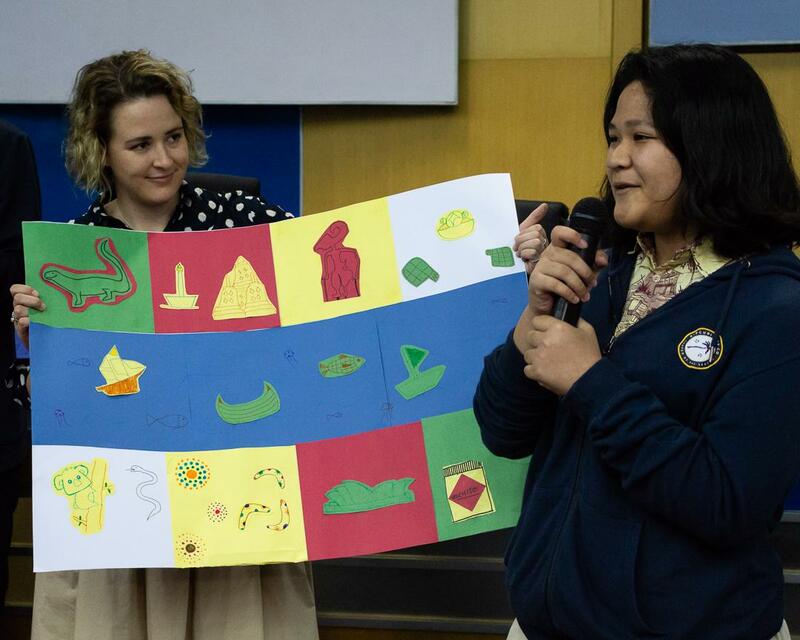 In this project, students and CAUSINDY delegates worked collaboratively in separate teams to design a flag that best represented the bilateral relationship between Australia and Indonesia, through visual media like pictures and drawings to symbolise the relationship between the two countries. This project aimed to provide an open-ended task with many possible interpretations as well as fostering creativity and teamwork. Through this project, the students were engaged in a rich discussion about many aspects of the bilateral relationship including trade, environment, history and more. The delegates and students were divided into 10 teams, each consisting of 6 to 7 students and 3 to 4 delegates. They initially introduced themselves to one another before embarking on the project. The groups then discussed, drafted, created, and designed the flag. In the end, each group presented the flag and the philosophy or meaning behind the flag. All of the groups successfully designed and presented the bilateral flag and showed interest in the Indonesia-Australia relationship. Many students and delegates commented on how much fun they had during EFL. We would like to thank the delegates and students for making it such a fantastic day, as well as our educational partners UNHAS and Youthful.social.